The Global NextGen Award, developed by the Global Cold Chain Alliance, recognizes outstanding young professionals in the world’s cold chain industry. Melissa Hunt, Director of S & D Logistics in Australia, was named the winner of the second annual award during a general session of the 125th International Association of Refrigerated Warehouses (IARW) and World Food Logistics Organization (WFLO) Convention, held April 16-19, 2016 in Las Vegas. Hunt represented Australia as the recipient of the Refrigerated Warehouse and Transportation Association of Australia’s (RWTA) 2015 Frank Vale Award. Now in its second year, the Global NextGen Award recognizes talented young professionals who have the potential to become future leaders and make a positive contribution to the development of the cold chain industry around the world. Finalists for the NextGen Award are recipients of industry awards that recognize exceptional achievement by young professionals in the cold chain in a specific region or country. Among other eligibility requirements for the award, nominees had to demonstrate excellence in their work, the potential to excel further in the many facets within the industry, and possess insight into their organization’s strategic values and direction, policies and ways of working. Colin Longmuir, Warehouse Manager, Henningsen Cold Storage Co., represented North America as the recipient of the 2016 World Food Logistics Organization (WFLO) Don Schlimme Future Leader Award. Kane Thomason, Logistics Solutions – Operations Manager, UK and Ireland for XPO Logistics represented the United Kingdom as the 2016 recipient of the UK Young Manager of the Year Award. As the winner of the GCCA Global NextGen award, Hunt will receive a travel stipend to attend a GCCA or GCCA partner event anywhere in the world in 2016 and was presented with an engraved 2016 GCCA Global NextGen award. 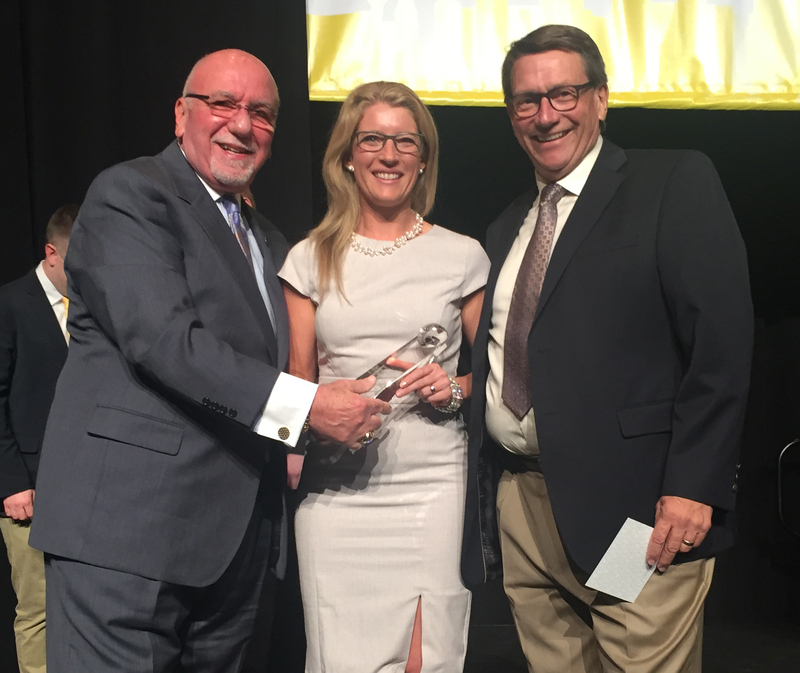 Download a photo of Melissa Hunt Accepting the Award Caption: 2015-2016 IARW Chairman Angelo Antoci (left) and 2015-2016 WFLO Chairman Greg Brandt (right) pictured with the 2016 GCCA Global NextGen Award winner Melissa Hunt. 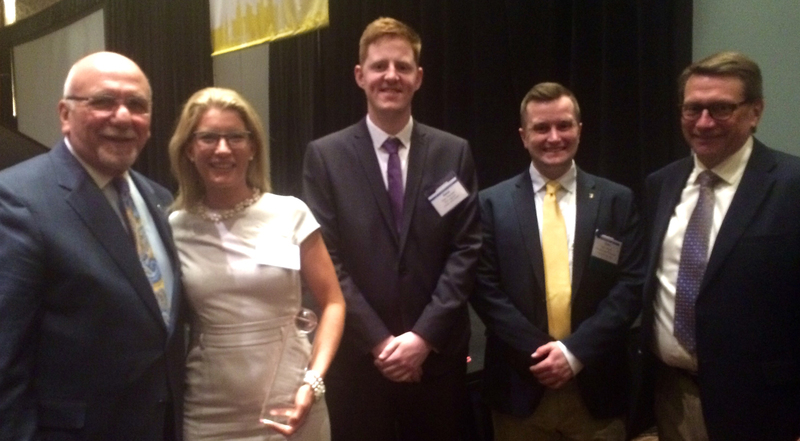 Download a photo of the 2016 GCCA Global NextGen Award finalists Caption: 2015-2016 IARW Chairman Angelo Antoci (left) and 2015-2016 WFLO Chairman Greg Brandt (far right) with the 2016 GCCA Global NextGen Award finalists Melissa Hunt, Kane Thomason, and Colin Longmuir. Hunt was the recipient of the award.